Belize NMS: A moderate and relatively moist easterly airflow prevails over our area. 24-hour forecast: Sunny with some cloudy spells today and cloudy at times tonight. A few showers and isolated thunderstorms will occur mostly inland today, then over most areas tonight. General Outlook: Some cloudy spells with a few showers and isolated thunderstorms mostly inland Saturday, then over southern and some coastal areas Saturday night. Today E 10-20 kts Moderate-Rough 4-6 ft A FEW SHOWERS OR ISOLATED THUNDERSTORMS. 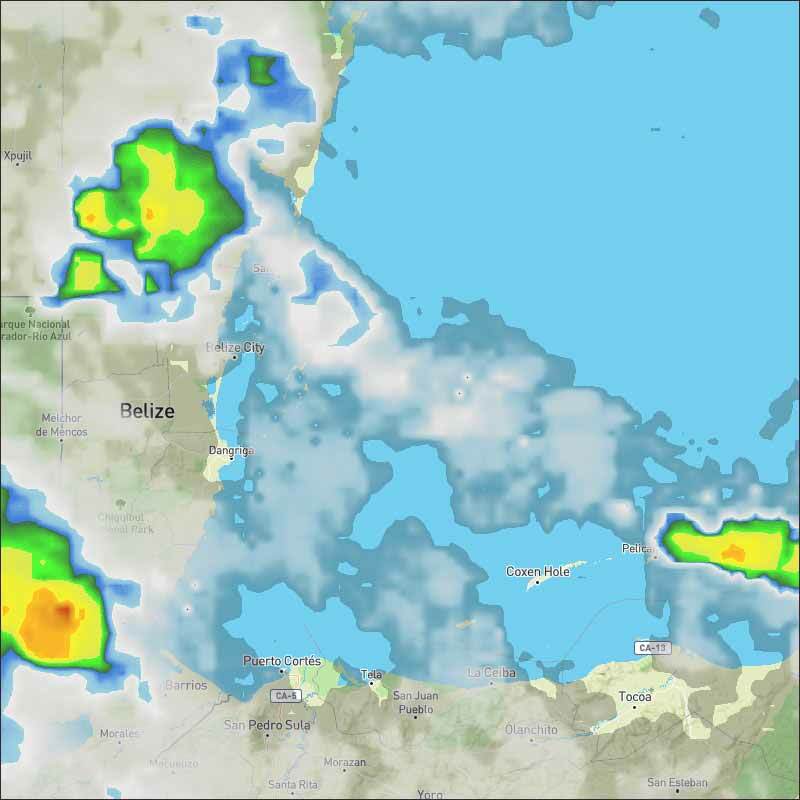 Tonight E 10-20 kts Moderate 4-6 ft A FEW SHOWERS AND ISOLATED THUNDERSTORMS. 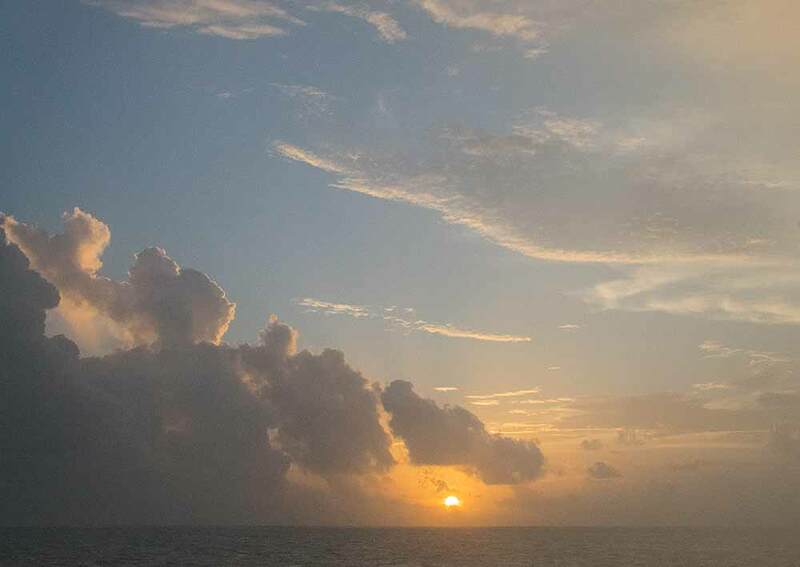 Outlook E 5-15 kts Choppy 3-5 ft A FEW SHOWERS AND ISOLATED THUNDERSTORMS MOSTLY SOUTH. An upper level trough passes through 20N58W in the Atlantic Ocean, across the NE part of the Caribbean Sea, to Hispaniola and the Windward Passage, to a broad upper level cyclonic circulation center that is near the Cayman Islands, to central Guatemala. Comparatively drier air in subsidence covers the Caribbean Sea from 15N northward from 70W eastward. 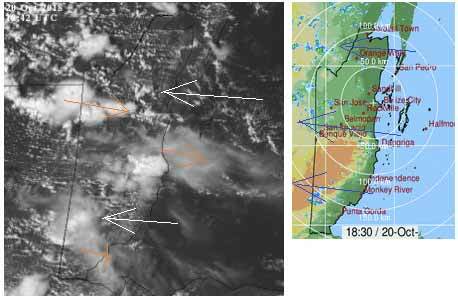 An upper level trough also extends from the Windward Passage toward NW Venezuela that is along 70W. Isolated moderate rainshowers cover the area that is between 70W and 80W. 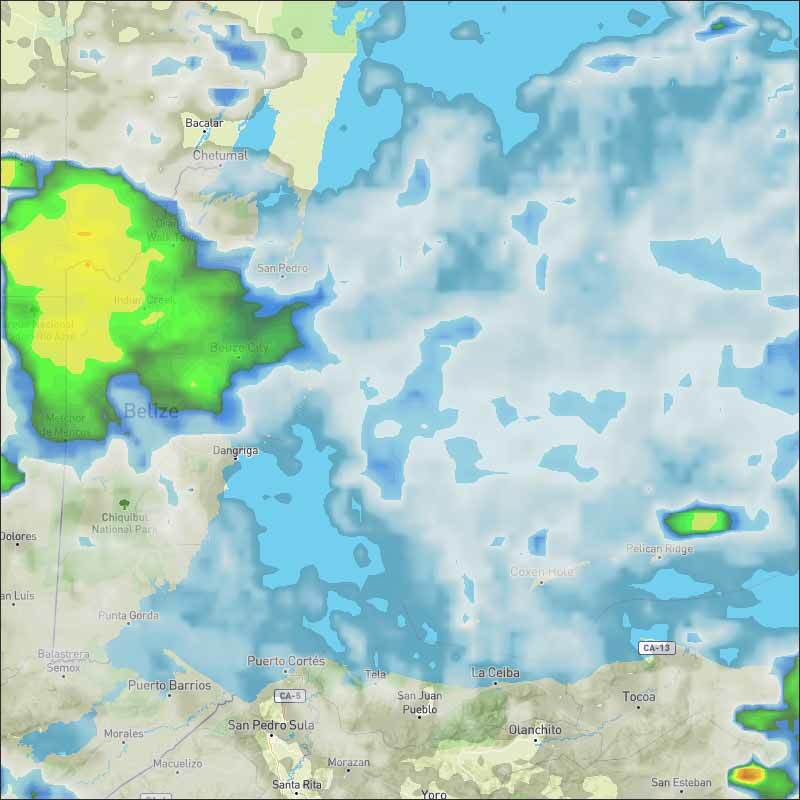 Scattered moderate to strong rainshowers are in the coastal areas of the ABC Islands, Venezuela, and Colombia from 13N southward from 72W eastward. 24-hour rainfall totals that are listed for the period that ended at 19/0000 UTC, according to the PAN AMERICAN TEMPERATURE AND PRECIPITATION TABLES, MIATPTPAN/ SXCA01 KNHC, are 1.66 in Curacao, and 0.07 in Guadeloupe. Moderate to fresh trade winds will prevail across the region through Tuesday. The highest wind speeds are expected near the Windward Passage, south of Hispaniola, and south of E Cuba. On Ambergris Caye this morning the wind is from the East at 15 mph and the sea around our barrier reef is choppy. Today's expected high temperature is 88 f.
Rain, and more Rain. We are in a conveyor belt of low pressure clouds and rain, otherwise known as the Monsoon belt. This is sort of the seasonal normal, but more so this year than typical. Although so far this year we have been low on rain, June, July and September were all significantly lower than usual, January was high, very high, and now October is very high, but overall, for the year so far, we are only 3% above the typical rainfall. Right now, the rain is being made by a mid level air movement from the south. Looks like today will be yet another wet and cloudy day, few glimpses of the sun.